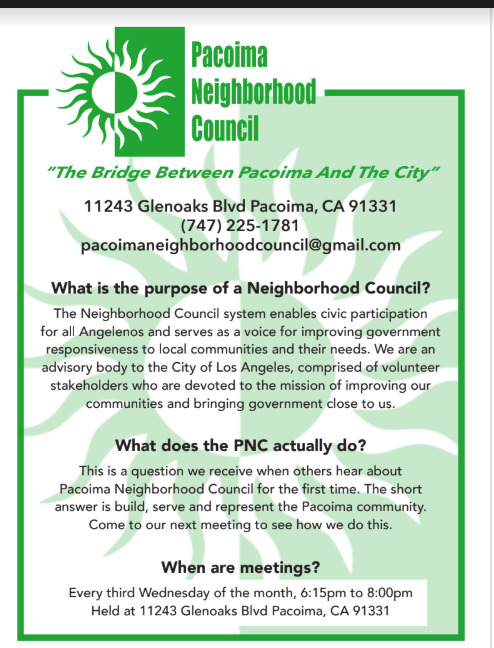 JOIN THE PACOIMA NEIGHBORHOOD COUNCIL! 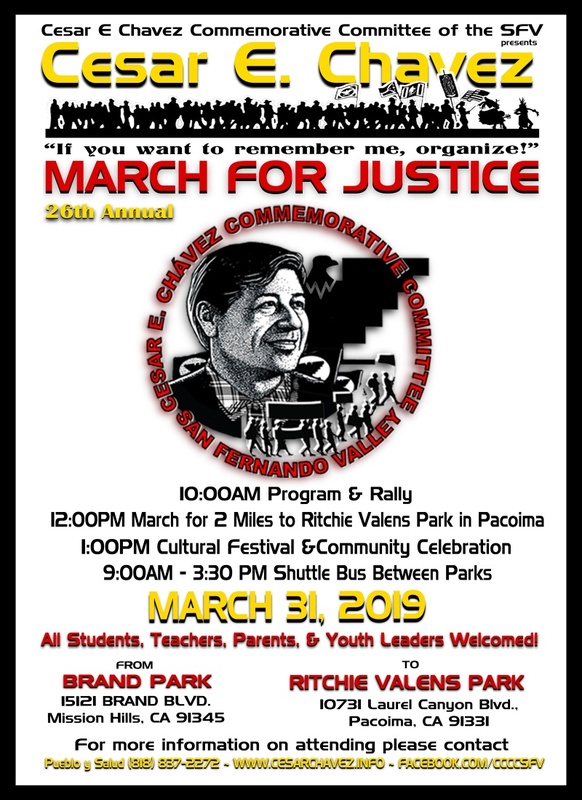 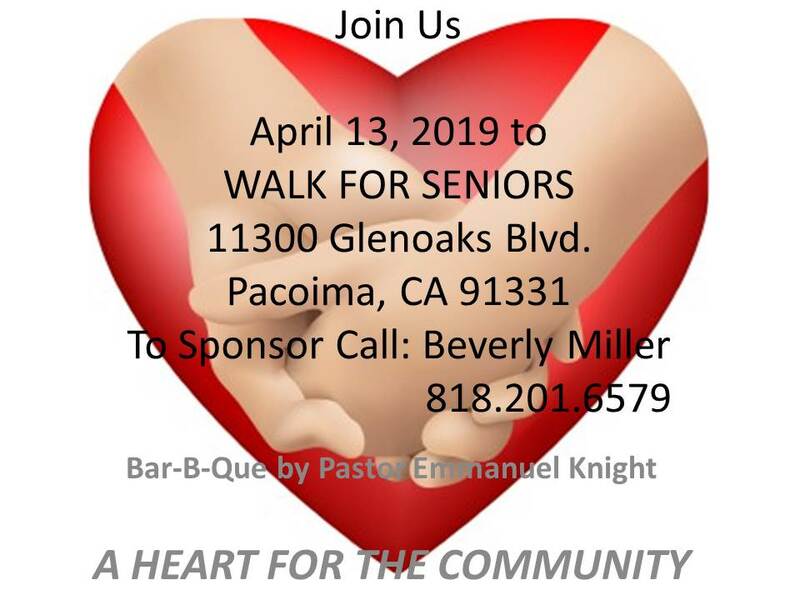 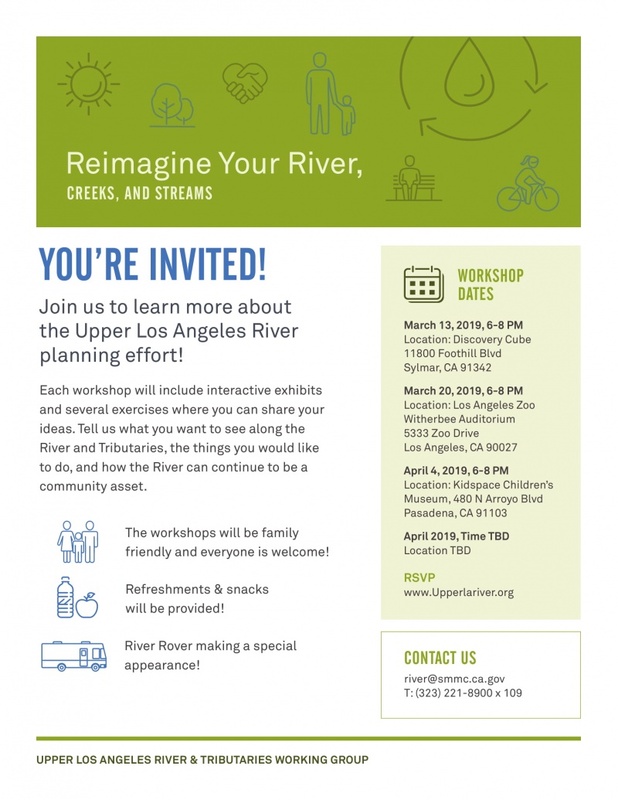 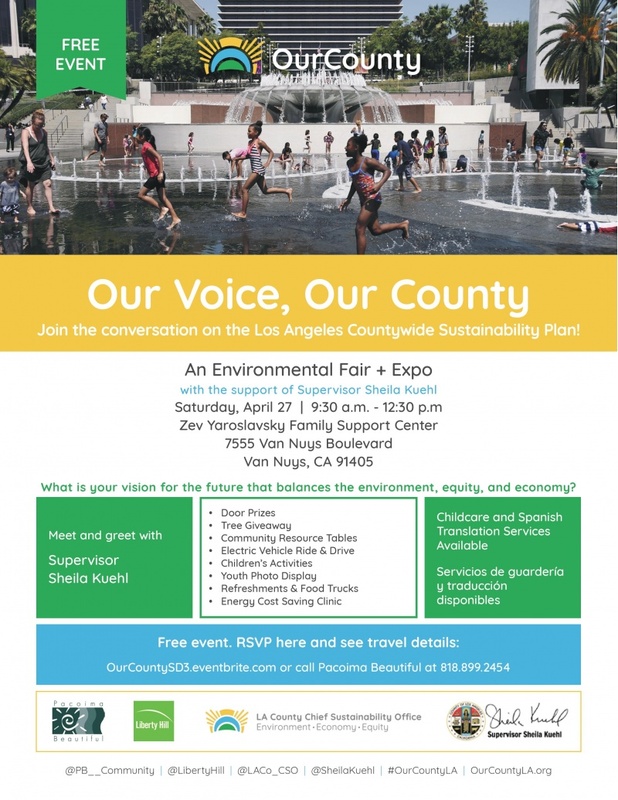 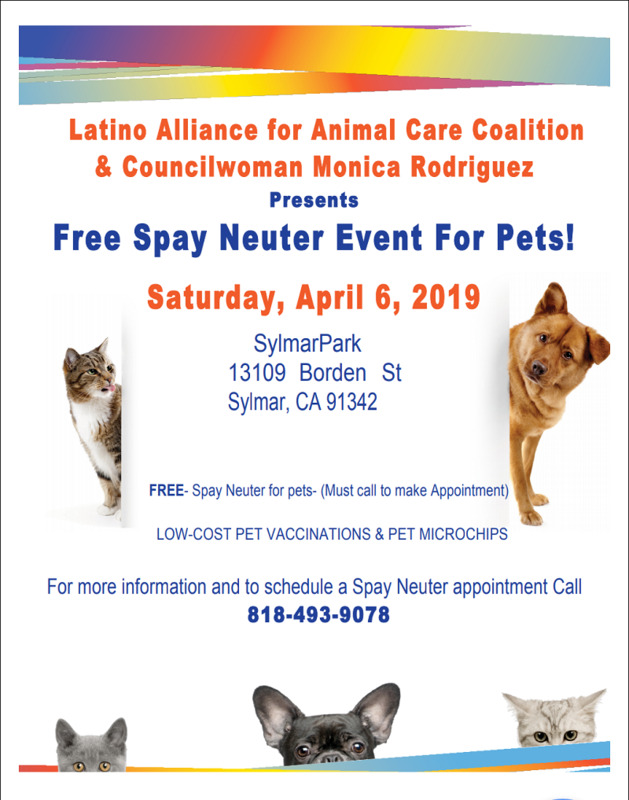 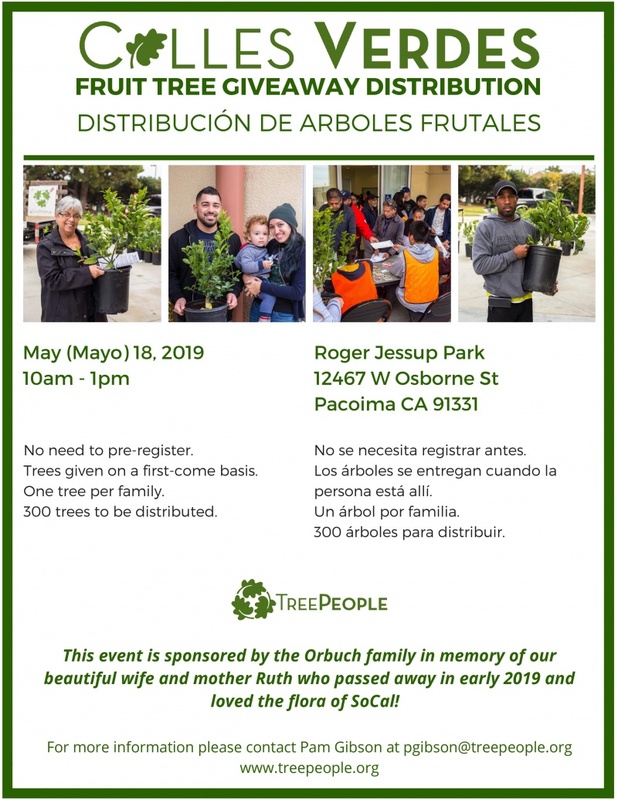 MAKE A DIFFERENCE IN PACOIMA! 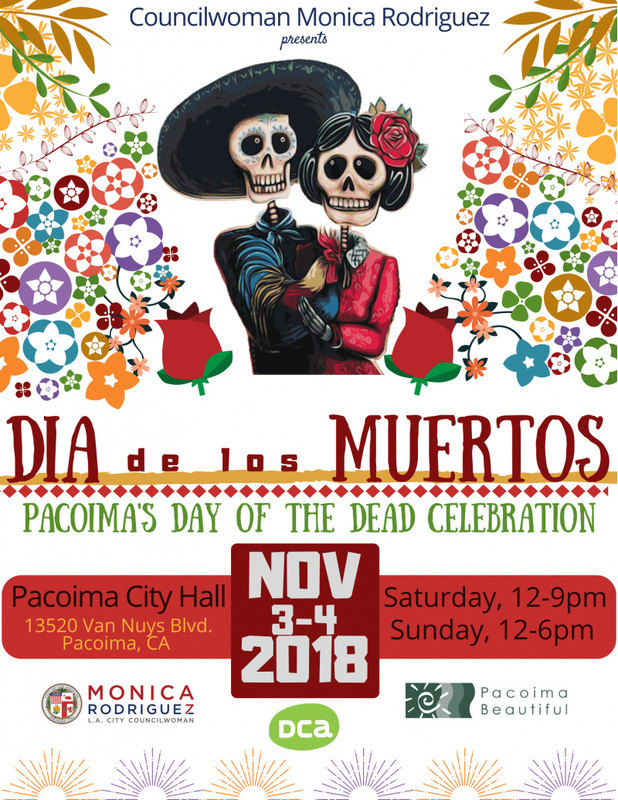 ORGANIZE EVENTS AND PROGRAMS IN PACOIMA? 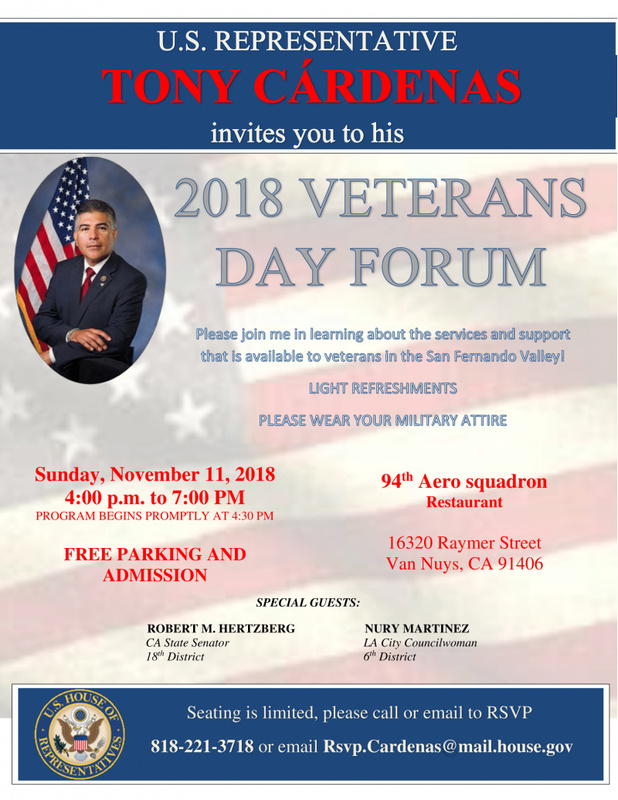 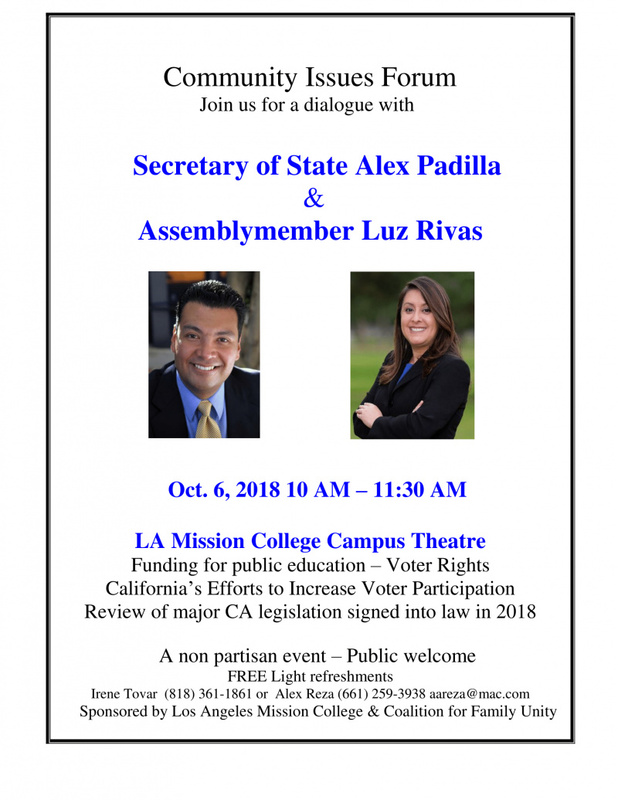 U.S. Representative Tony Cardenas invited you to his 2018 Veterans Day Forum. 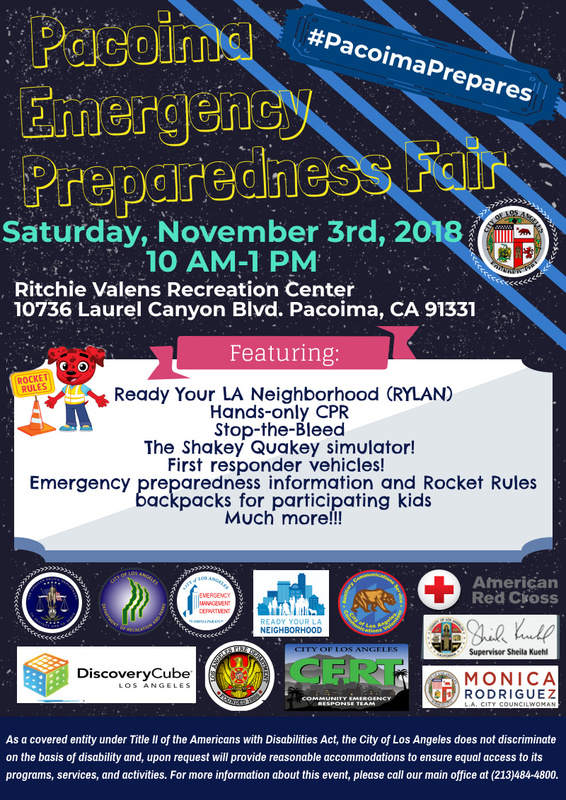 Join us for a fun day at Pacoima's Emergency Prepareness Fair! 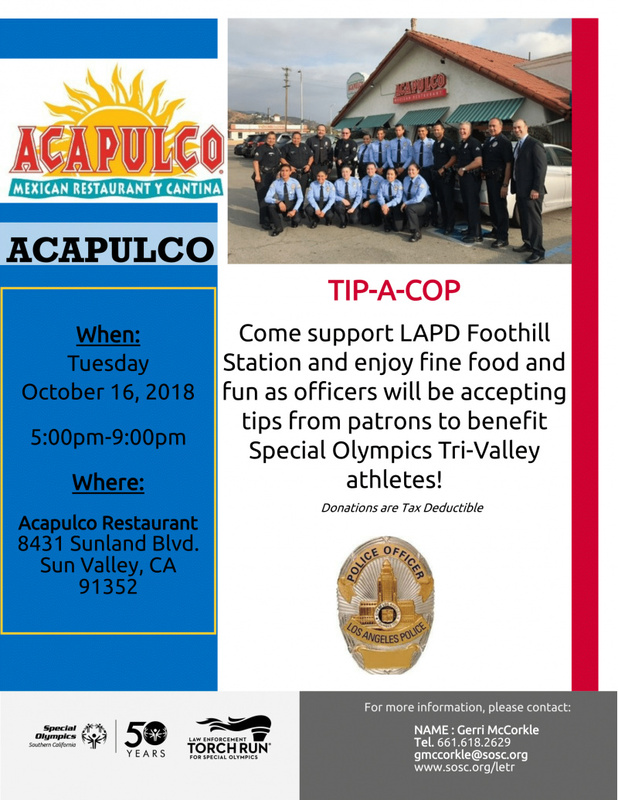 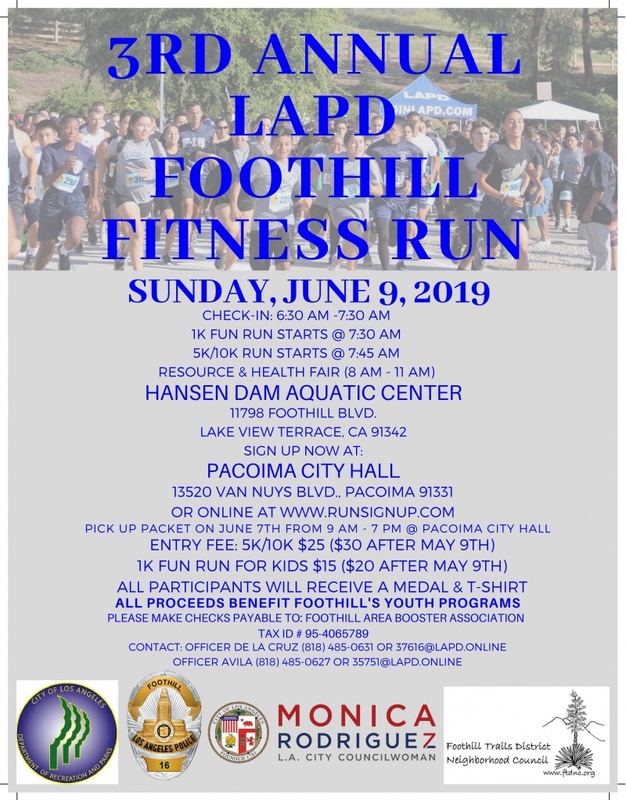 Come support LAPD Foothill Station and enjoy fine food and fun as officers will be accepting tips from patrons to benefit Special Olympics Tri-Valley athletes! 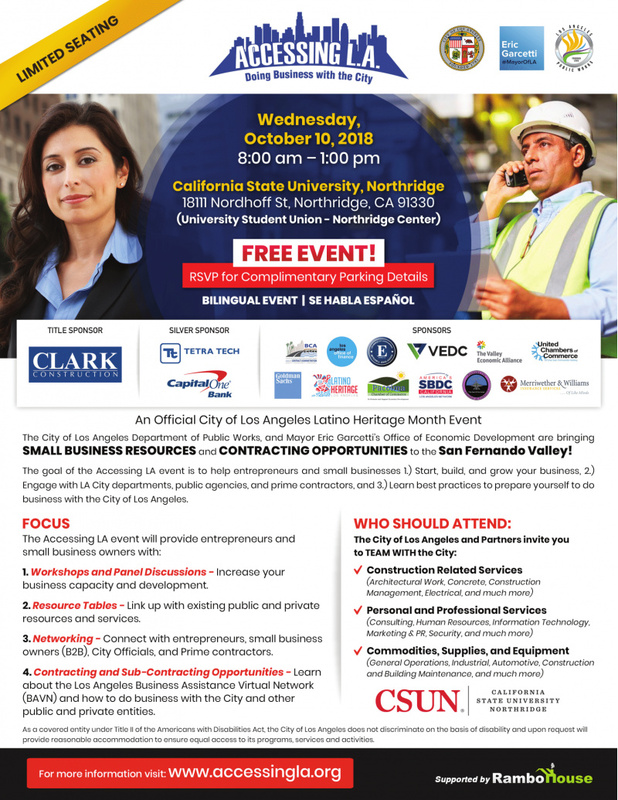 The city of Los Angeles Department of Public Works, and Mayor Eric Garcetti's office of Economic Development are bringing Small Business Resources and Contracting Oppportunities to the San Fernando Valley! 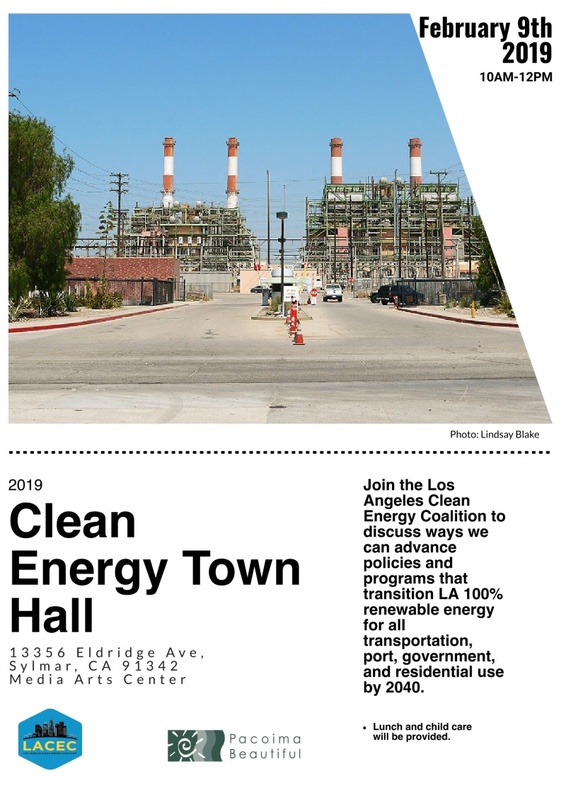 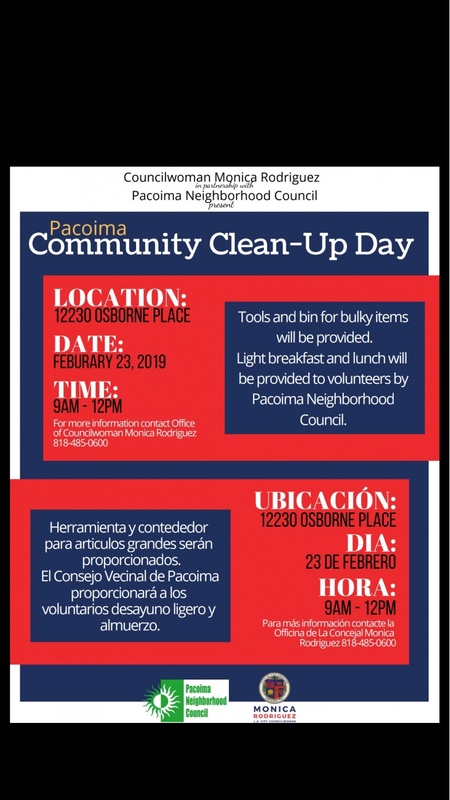 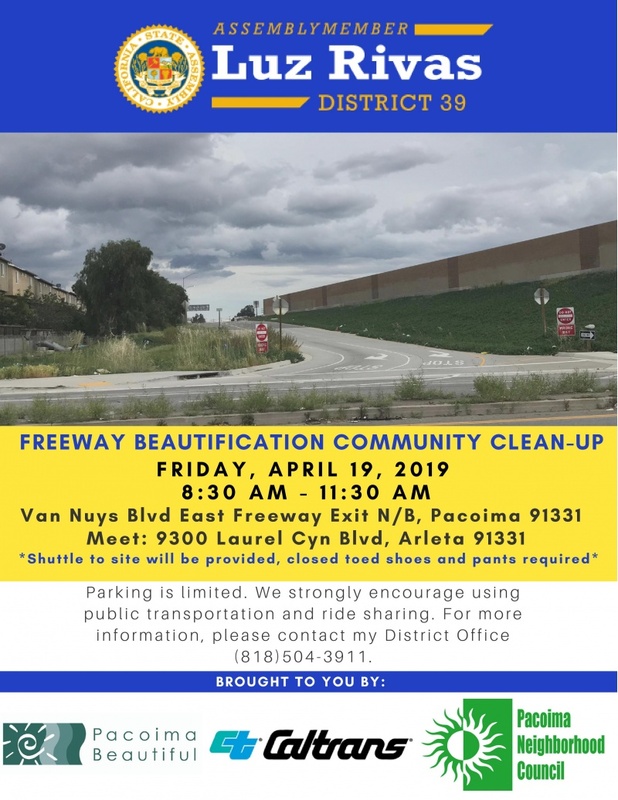 Join Pacoima Neighborhood Council on our cleanup! 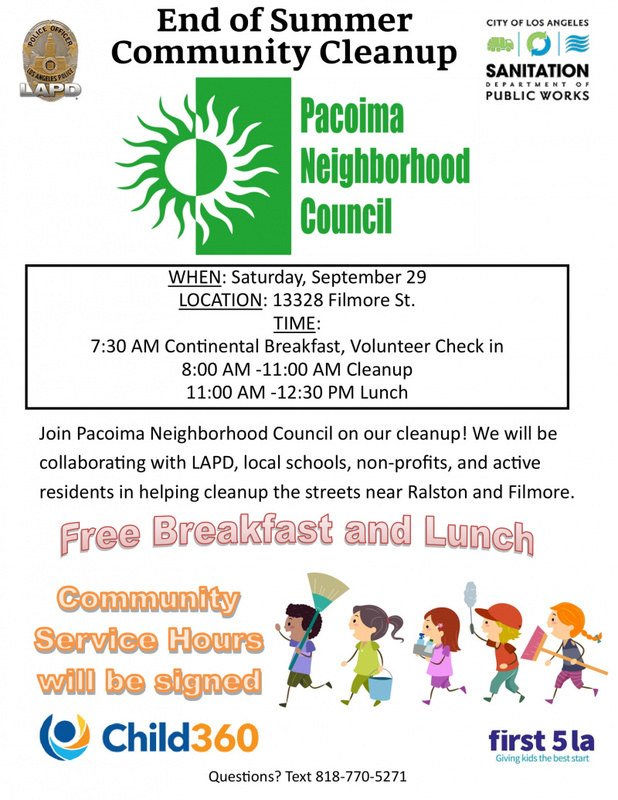 We will be collaborating with LAPD, local schools, non-profits, and active residents in helping cleanup the streets near Ralston and Filmore.